Park West Cos., a provider of landscape construction, landscape management and tree care services, created the Park West Learning Academy to provide a range of training programs for its employees. 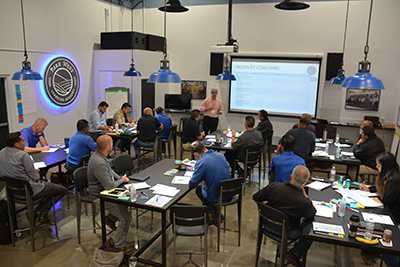 As part of its commitment to creating an industry-leading learning program, Park West has partnered with industry veteran and training expert Parke Kallenberg to assist in the development and delivery of courses. Courses delivered during the academy’s first week included participants from all divisions, from field personnel to executives. Going forward, the academy will focus on programs geared toward role-specific certification and advancement but will also offer many opportunities for employees to satisfy various continuing education requirements. Future course development will include leadership, technology, language, professional skills and safety.